Scott Namestnik’s eagerness to explore Quog Lake last summer was quickly replaced with trepidation. 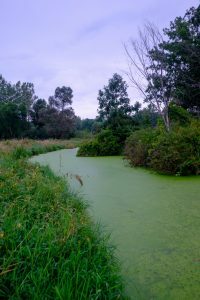 “It has to be the most challenging site on which I’ve ever conducted a survey,” he said of the ACRES Land Trust property in LaGrange County. Scott Namestnik supports ACRES’ plant species inventories. He’s leading an in-the-field Plant Workshop July 12–13. Act quickly: Namestnik is a popular teacher among plant-lovers. ACRES members have first dibs to reserve a spot. Details below. Photo submitted. Namestnik works for Orbis Environmental Consulting, which ACRES hired to conduct a “floristic quality assessment” at the 126-acre property along the west side of Quog Lake. What he found was a rich diversity of plants. What he didn’t find were trails. “An old boardwalk made of wooden pallets goes down to the lake, and the ground is unstable. You’re basically walking on a flooating mat that you occasionally stay on top of,” Namestnik said. 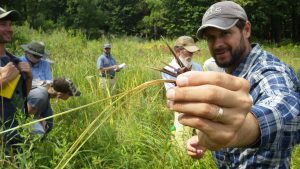 Despite the difficulties, Namestnik documented 471 plant species—82 percent native to Indiana, three listed as state-endangered (rough-clustered sedge, two-seeded sedge, and American pennywort), and others considered threatened or rare. 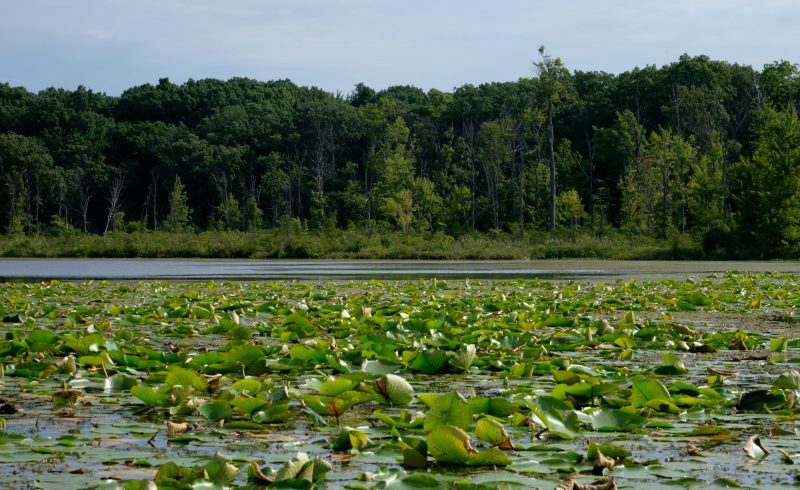 Quog Lake, five miles south of LaGrange and a half-mile west of Oliver Lake, is one of eight properties in the area owned and managed by ACRES, the Indiana Department of Natural Resources, or LaGrange County. Together, they protect just over 800 acres. 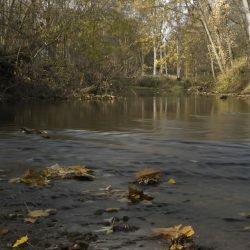 Namestnik was aware of Quog Lake after reading about it in Natural Areas of Indiana and Their Preservation, a book published in 1969 by Purdue University professor Alton Lindsey and two of his graduate students, Fr. Damian Schmelz and Stanley Nichols. 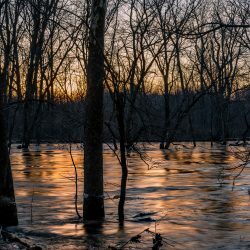 After Indiana’s General Assembly passed the Nature Preserves Act in 1967, the trio crisscrossed the state to find and identify naturally significant sites worthy of protection under the new law. 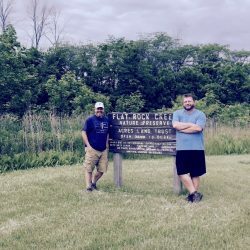 Their book became the blueprint for the DNR’s edgling Division of Nature Preserves, following in the footsteps of efforts ACRES had begun nearly a decade earlier. Quog Lake is one of 154 sites Lindsey, Schmelz and Nichols described. Most are now state-designated nature preserves. 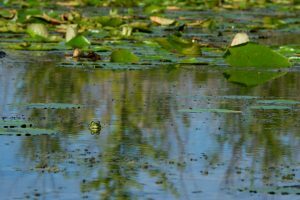 Namestnik’s recent survey of Quog Lake mirrors Lindsey, Schmelz and Nichols’ findings from the 1960s noting everything from pitcher plant to the poison sumac that Namestnik grabbed for balance after falling through the bog. Namestnik made a total of five visits to Quog Lake during May, June, July, and September “to hit all the variabilities of seasons—some things not as obvious in spring are more obvious in the fall,” he said. Learn in the field with an expert! Participants will spend only a few hours in a classroom; ACRES’ Wayne Township Property in Warsaw, a rare native prairie that is closed to the public, serves as the main venue. To aid your learning, you will receive a custom folding chair and a notebook to create your own “field guide” for continued study. Following the workshop, you will receive a certificate of completion. Thursday meals on your own. Friday, ACRES will provide a home-cooked breakfast; Noa Noa Wood Grill & Sushi Bar will provide lunch. Free lodging is available at Manchester University’s Koinonia Environmental Retreat Center, 6147 S 650 E, Pierceton, IN 46562. Transportation between sites is not provided. 20 seats available, registration opens June 1 for current members, June 11 for nonmembers. Register at 260-637-2273.